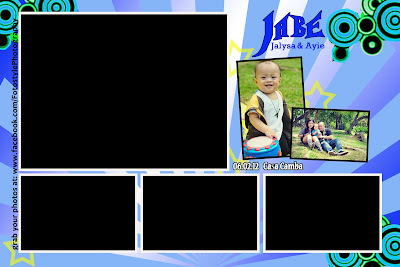 Photobooth is one of the most popular souvenirs in every party, whether it be a wedding, debut, baptism and birthdays. During Jabe’s baptism, I didn’t opt to get a photobooth, but this time, for his 1st Birthday Party, we decided to hire one, so the guests can have additional souvenir or remembrance apart from the memories, prizes and lootbags they will be bringing home. High Resolution Soft Copies in DVD CD <---- I got this one right after the party! To block the date, I was only asked to deposit Php 1,000 pesos. The layout they designed was patterned to the party invitation I sent them. Though I had a little problem with this, since they only sent the layout 6 days before the party and that is after asking for an update twice. Anyways, the layout was very neat, and just the way I wanted it. Our guests had fun in going back and forth to the photobooth station. Get in touch with Fotostyle for your photobooth needs. :) You won’t be sorry in getting them. I assure you that your guests will have a blast.